The Big One Shows are a great opportunity for you get your hands on the newest kit and get buying advice from the experts who created it. From big-ticket items like rods and reels, poles and boxes, to bivvies, bait and thousands of cutting-edge accessories, you’ll find everything you need for a successful season. The Big One shows are the place to see 2020’s new tackle… you’ll be able to buy it at bargain prices too! There is plenty for you to explore with prices well below RRPs thanks to exclusive show-only deals you won’t find in any tackle shop or online. To make it easier for you, we’ve even added brilliant ‘Shop & Drop’ service where you can leave your bulkier purchases securely while you enjoy the rest of the show. This is THE PLACE to save £££s and get yourself kitted out for the season ahead. Find some of the biggest stars at the shows giving talks and demonstrations that you wont want to miss! Our demonstration theatre is where we’re bringing your favourite fishing stars to our new indoor lake and Main Stage area! 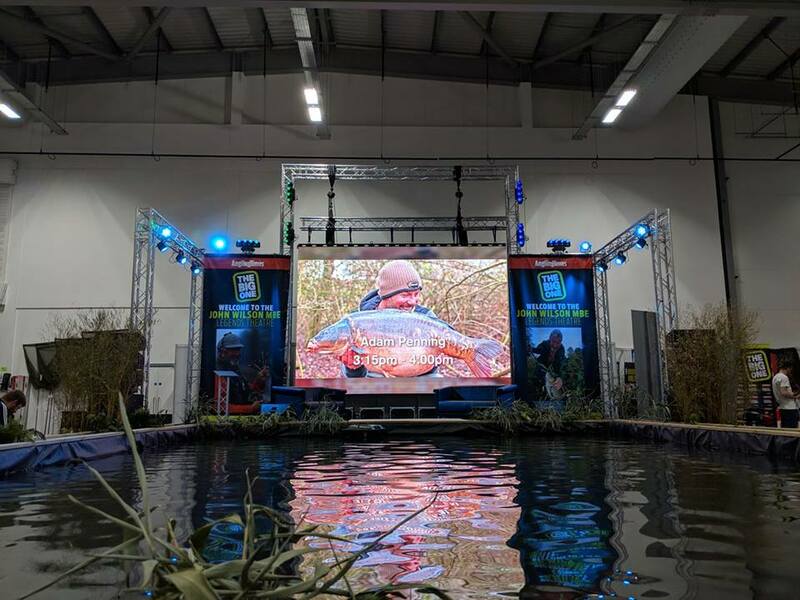 Sit back and relax in comfort as they dish out loads of great instruction and entertainment with advice for every style of angler and amazing stories throughout both days of the show. We’ve secured some of the greats of fishing this year, including personalities you’ll only be able to see at The Big One in 2020… get those autograph books out too! There are loads of opportunities to refuel at The Big One with expanded catering facilities offering food and drink for all appetites and tastes. Chill out with your friends in the comfortable indoor catering areas and enjoy everything from burgers to butties and plenty of hot food and drink options at realistic prices. Outside you’ll find a selection of food vans where you’re guaranteed to get your hands on something which hits the spot. Open all day. © 1955-2018 Bauer Consumer Media Limited are authorised and regulated by the Financial Conduct Authority (Firm reference No. 710067) Media House, Peterborough Business Park, Peterborough, PE2 6EA.